Stunning Taylor Morrison ranch in Whisper Creek II!! This home features 3 beds, 2 baths, an open and inviting floorplan complete with laminate hardwood floors, stainless appliances, granite counters, and located in a phenomenal location! The HOA features a main pool, a children's pool, multiple playgrounds, tennis courts, a baseball field, and more! 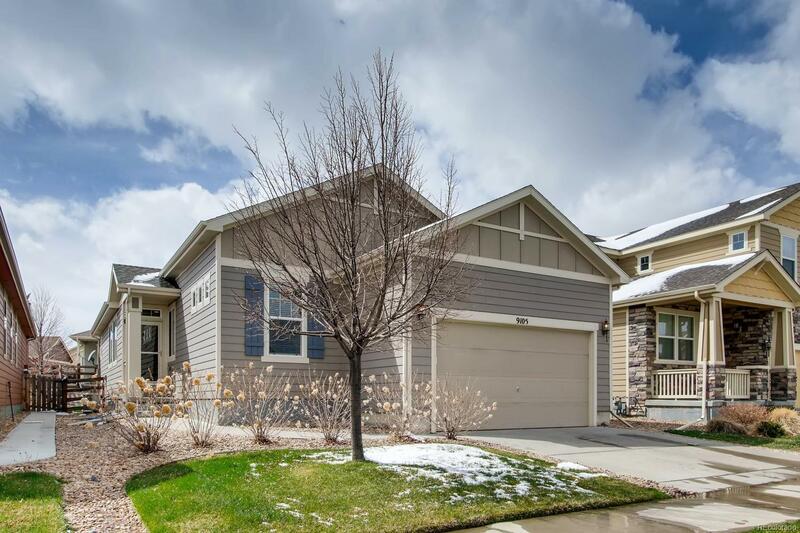 The oversized vaulted garage gives you plenty of storage space in addition to a 6' tall crawl space, you won't miss out on the room this home has! The master suite has a full walk-in closet and master bath perfectly suited for anyone! You won't find a better value for this price point anywhere in Arvada!